James Chadwick discovered the neutron in 1932 and was awarded the Nobel Prize for Physics in 1935. Held in a German prison camp for all of World War 1, he led the British team in the Manhattan Project, in which the UK and Canada supported the USA’s World War 2 effort to build the world’s first nuclear bomb. James Chadwick was born in the small town of Bollington, England, UK on October 20, 1891. His parents were Joseph, a railway storekeeper, and Anne, a domestic servant. When he was 11, James won entry to the prestigious Manchester Grammar School. Unfortunately, his parents were too poor to afford the modest school fees. Instead, James Chadwick was educated at Manchester’s Central Grammar School for Boys. His favorite subjects were mathematics and physics. Aged 16, he won a scholarship to the Victoria University of Manchester. He had intended studying mathematics, but was interviewed by a physicist who assumed he wanted to study physics. Chadwick was too shy to contradict him, so he ended up enrolling as a physics major! Chadwick started university in 1908, aged 17. By the time he was 19, he was in the final year of his physics degree, and was working on a research project in Ernest Rutherford’s laboratory. Rutherford had won the Nobel Prize for Chemistry in the year Chadwick started university. The prize was awarded for Rutherford’s investigations of the disintegration of the elements and the chemistry of radioactive substances. Chadwick carried out his project successfully and graduated with first class honors in physics in 1911. It had been a tough three years financially – he always went without lunch, because he had so little money. After graduating, Chadwick continued to work in Rutherford’s laboratory until, aged 21, he was awarded a master’s degree in physics in 1912. A scholarship win took him to Berlin, Germany to work in Hans Geiger’s laboratory. Like Rutherford, Geiger’s field was radioactivity – he invented the Geiger Counter to detect radiation levels. Unfortunately for Chadwick, World War 1 began in 1914 when he was still in Berlin. He was interned in a camp on the west of Berlin until the war ended in 1918. Aged 28, Chadwick rejoined Ernest Rutherford in 1919 to begin working for his Ph.D. Rutherford was now in charge of Cambridge University’s prestigious Cavendish Laboratory, whose first professor had been James Clerk Maxwell. Chadwick was awarded his Ph.D. in 1921 for a thesis concerning atomic numbers and nuclear forces. In 1923, aged 32, Chadwick became Rutherford’s Assistant Director of Research in the Cavendish Laboratory where he continued to study the atomic nucleus. In those days, most researchers believed there were electrons within the nucleus as well as outside it. For example, the nucleus of a carbon atom was thought to contain 12 protons and 6 electrons, giving it an electric charge of +6. Orbiting the nucleus were supposed to be another 6 electrons causing the atom’s overall electric charge to be 0. Rutherford, Chadwick, and some others believed in the possibility that particles with no charge could be in the nucleus. 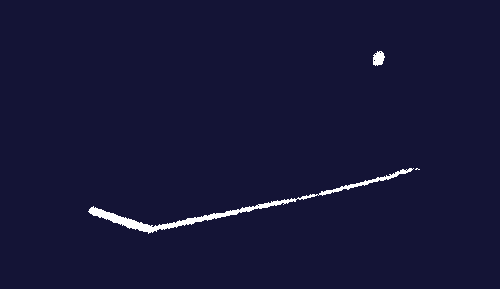 In his spare time, through the 1920s, Chadwick made a variety of attempts in the laboratory to find these neutral particles, but without success. He was, however, increasingly convinced in the existence of a neutral particle – the neutron. He couldn’t, however, get the evidence he needed to prove its existence. Then, at the beginning of 1932, Chadwick learned of work that Frederic and Irene Joliot-Curie had just done in Paris. The Joliot-Curies believed they had managed to eject protons from a sample of wax using gamma rays. This did not make sense to Chadwick, who thought gamma rays were not powerful enough to do this. However, the evidence that protons had been hit with sufficient energy to eject them was convincing. The gamma ray source had been the radioactive element polonium. Chadwick drew the conclusion that the protons had actually been hit by the particle he was looking for: the neutron. Feverishly, he began working in the Cavendish laboratory. Using polonium as a source of (what he believed were) neutrons, he bombarded wax. Protons were released by the wax and Chadwick made measurements of the protons’ behavior. The protons behaved in exactly the manner they ought to if they had been hit by electrically neutral particles with a mass similar to the proton. Chadwick had discovered the neutron. Within two weeks he had written to the prestigious science journal Nature to announce the Possible Existence of a Neutron. Chadwick did not think he had discovered a new elementary particle. He believed the neutron was a complex particle consisting of a proton and an electron. The German physicist Werner Heisenberg showed that the neutron could not be an electron-proton pair, and was actually a new elementary particle. 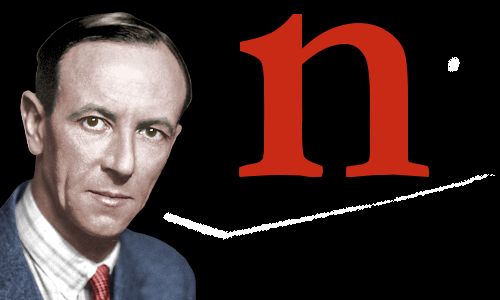 In 1935, James Chadwick received the Nobel Prize in Physics for his discovery of the neutron. An image from an expansion chamber in Chadwick’s laboratory. A neutron collides with an atom of nitrogen-14. The nitrogen atom splits into boron-11 and helium-4. And what of the Joliot-Curies? If only they had interpreted their results correctly, they might have discovered the neutron themselves. In fact, Frederic and Irene Joliot-Curie also received a Nobel Prize in 1935, for chemistry: they were the first people to create new, synthetic, radioactive elements. The discovery of the neutron dramatically changed the course of science, because neutrons could be collided with atomic nuclei. Some of the neutrons would imbed in a nucleus, increasing its mass. Natural Beta decay (the emission of an electron from an atom’s nucleus) would then convert the neutron into a proton. Since an element is defined by the number of protons it has (hydrogen has 1, helium 2, lithium 3, beryllium 4, boron 5, carbon 6, nitrogen 7, oxygen 8, etc, etc) this enabled scientists to make new, heavier elements in the laboratory. It also meant neutrons could be utilized to split heavy atoms in a process known as atomic fission, producing a large amount of energy which could be used in atomic bombs or nuclear power plants. In 1935, before his Nobel Prize was awarded, Chadwick was offered the Lyon Jones Chair of Physics at the University of Liverpool, which he accepted. He started his new job one month before he heard he had won the Nobel Prize. In Liverpool he started a nuclear physics group. The group needed a cyclotron/particle-accelerator/atom smasher, but his new university could not afford one. Chadwick part-funded it using some of his Nobel Prize money. In 1939, the first year of World War 2, Chadwick was asked by the British Government about building an atomic bomb. He said it was possible, but would not be easy. Preliminary research began in a number of universities. Working conditions in Chadwick’s laboratory were arduous. The neighborhood in Liverpool was frequently attacked in air-raids by the German Air Force. Despite the bombing, by spring 1941, Chadwick’s research group had discovered that the critical mass of uranium-235 for a nuclear detonation was about 8 kilograms. Wartime Liverpool after a German air-raid. Chadwick’s laboratory often shook from bomb blasts in the neighborhood. Chadwick wrote a summary report in summer 1941 of all the atomic bomb work carried out in British universities. In the USA, President Roosevelt read the report in the fall of 1941, and the USA started to pour millions of dollars into its own atomic bomb research. When he met them, Chadwick told American representatives he was 90 percent sure the bomb would work. In late 1943, Chadwick traveled to the USA to see the Manhattan Project’s facilities. He was one of only three men in the world to enjoy access to all of America’s research, data, and production plants for the bomb: the other two were American Major General Leslie Groves, the Manhattan Project’s Director, and Groves’ second in command, Major General Thomas Francis Farrell. Early in 1944, Chadwick, his wife, and children, moved to Los Alamos, the main research center for the Manhattan Project. Chadwick was present when the US and UK governments agreed that the bomb could be used against Japan. He then attended the Trinity nuclear test on July 16, 1945, when the world’s first atomic bomb was detonated. In 1945, the British Government knighted him for his wartime contribution, and he became Sir James Chadwick. The U.S. Government awarded him the Medal of Merit in 1946. James Chadwick died peacefully, at the age of 82, on July 24, 1974. Image of James Chadwick enhanced and colorized by this website. "James Chadwick." Famous Scientists. famousscientists.org. 8 Sep. 2014. Web.